Singapore, known as the Lion City, is an island city-state situated off the southern coast of Malaysia. 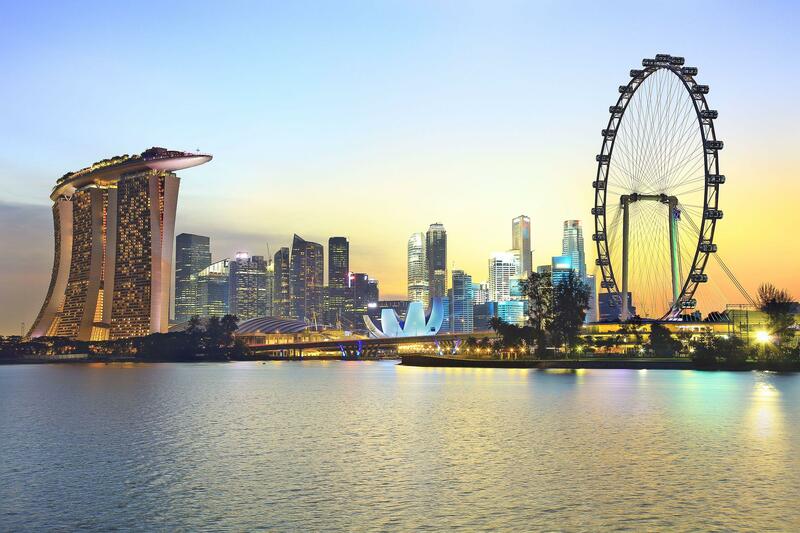 Singapore is one of the most expensive and developed countries in the world. The most inspiring thing about the city is its combination of different Asian cultures and ethnicities. From Chinatown to Little India, you will witness many different Asian nations in Singapore. The island may be small, but there is a lot of stunning things to explore, see, and eat while you’re staying here. The weather in Singapore is favorable as long as you like warm weather. The tropical climate refers to the heat and humidity throughout the year. In Singapore, the winter season is from November to January, but there is no huge difference in the temperatures. However, Singapore can be expensive, during holidays like the Chinese New Year, so plan your trip on off times when prices might be lower for a budget tour. From India, you can flights to Singapore from Mumbai, or any other major city. This is the most celebrated landmarks in Singapore. This place is admiring by fusion of the urban and natural, the Gardens house the world’s largest greenhouse, the world’s largest indoor waterfall, and a collection of giant “supertrees.”This garden is a must visit destination and you can start your trip from here on a happy note. Singapore includes varied cultures and identities. It’s a unique place with a great history that you need to find. The Asian Civilizations Museum shows a broad history of Asian art and culture. They also organize an exhibit on the Tang Shipwreck that you must explore. Singapore is not considered for natural wonders. But the Botanic Gardens are a truly a surprising sight. The 60-acre garden complex is a UNESCO World Heritage Site and is full of a vast variety of awe-inspiring plants. Chinatown and Little India provide the elements of China and India (as well as other countries) throughout the city. You can see the beauty of the Sultan Mosque in the Arab Quarter, or explore the Chinese Heritage Center and a plethora of mom and pop shops. Afterward, you can go to many incredible food markets in these neighborhoods, offering the best hawker stall meals imaginable that will be a treat to your senses. The Ferris Wheel is a tourist destination that continues to attract visitors of all ages. As long as you’re not bothered by heights, this is an amazing way to watch some fabulous panoramic views of the city from high above. This beautiful scene would be definitely stuck in your mind forever.